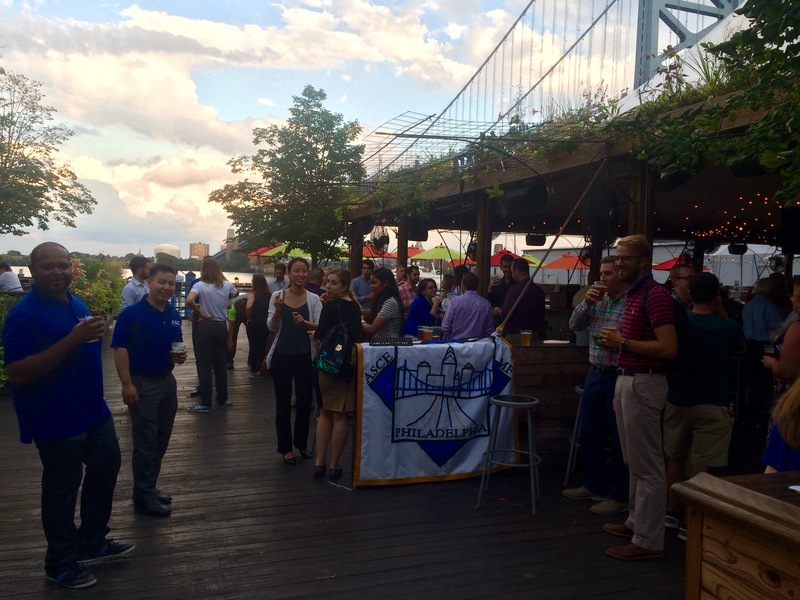 On Tuesday, May 16, 2017, the ASCE Philadelphia YMF gathered at Revolution House in Old City for their annual Election Happy Hour. Polls were open until 7 PM, and then the results were revealed. 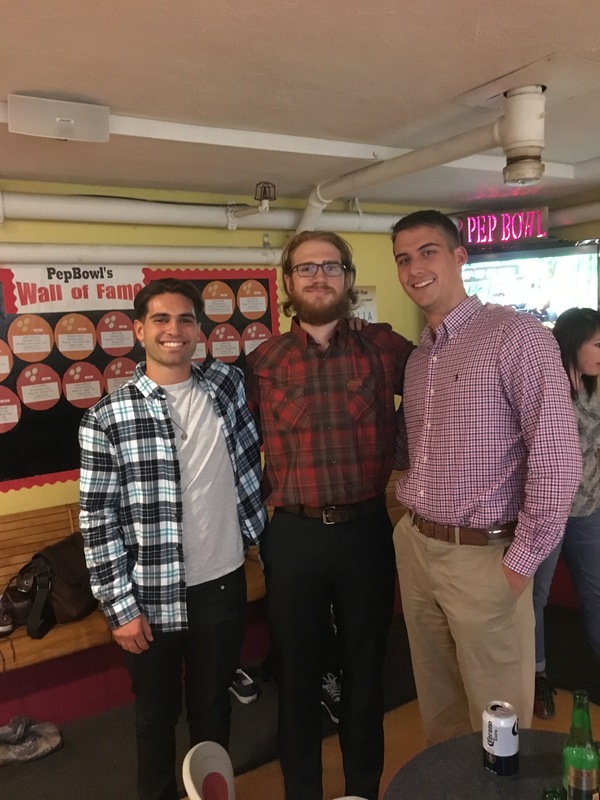 Congratulations to the following YMF members elected to executive board positions for the 2017-18 YMF year: Nha Truong – President, Eammon Farley – Vice President, Joe Natale – Treasurer, and Jesse Gormley – Secretary. 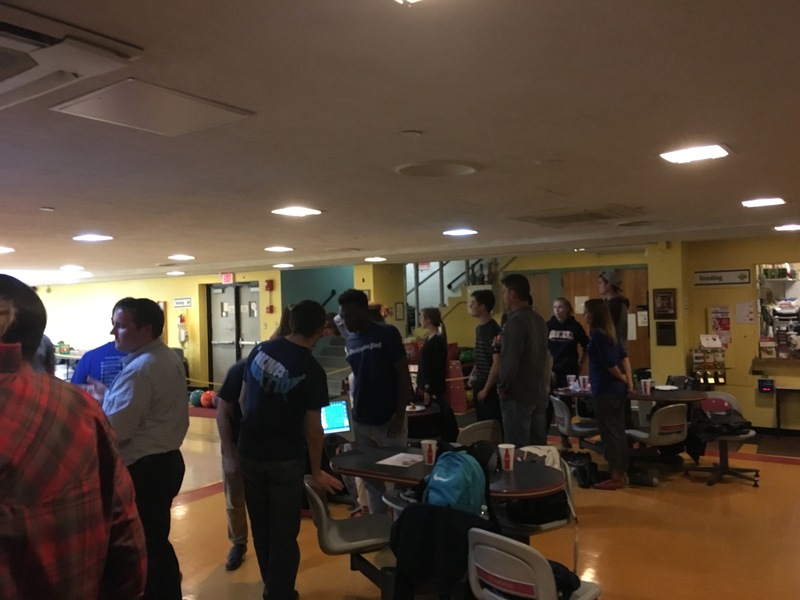 The YMF was also able to officially pass a number of revisions to the Constitution and Bylaws, as attendees voted on that in addition to casting their votes. 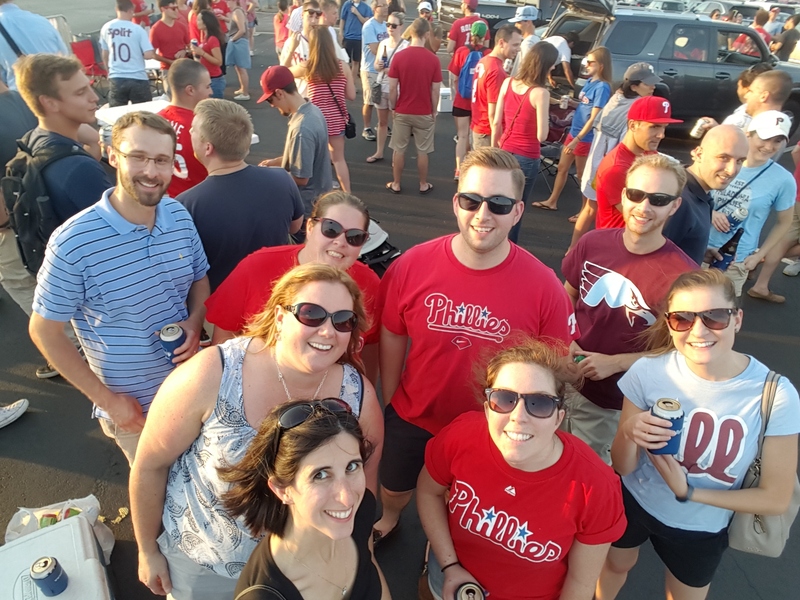 Appetizers were provided, and attendees were free to enjoy the second floor deck of Revolution House, overlooking the intersection of 2nd and Market. The YMF would like to thank everyone that was able to participate in this election, either online or in-person, as well as those who have participated and joined in our events throughout the year. On Monday, May 15, 2017, the YMF took a tour of the W / Element Hotel Construction Site. The group of 15 was given the tour by the building contractors, Tutor Perini. 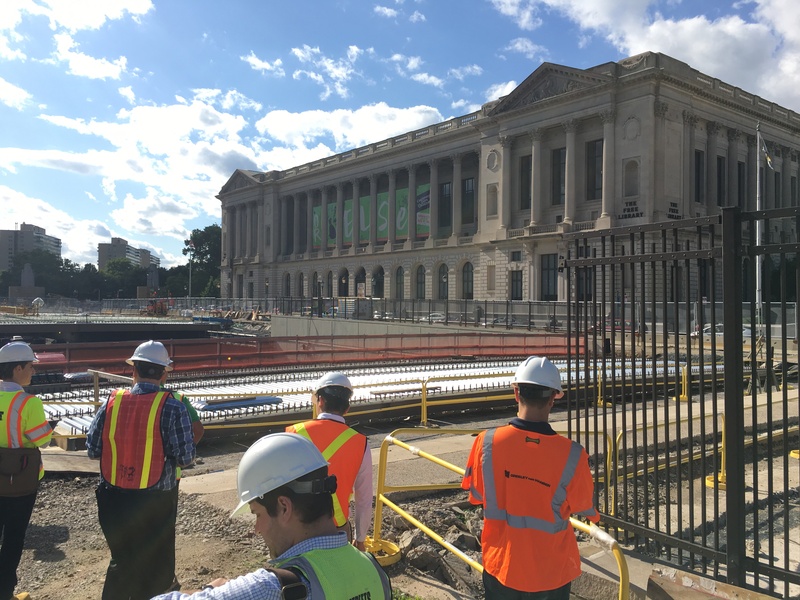 Before the group went out to the construction site, Tutor Perini and the building structural engineer, O’Donnell and Naccarato provided a project overview and time lapse video of the concrete mat pour, which is the longest in Philadelphia history. 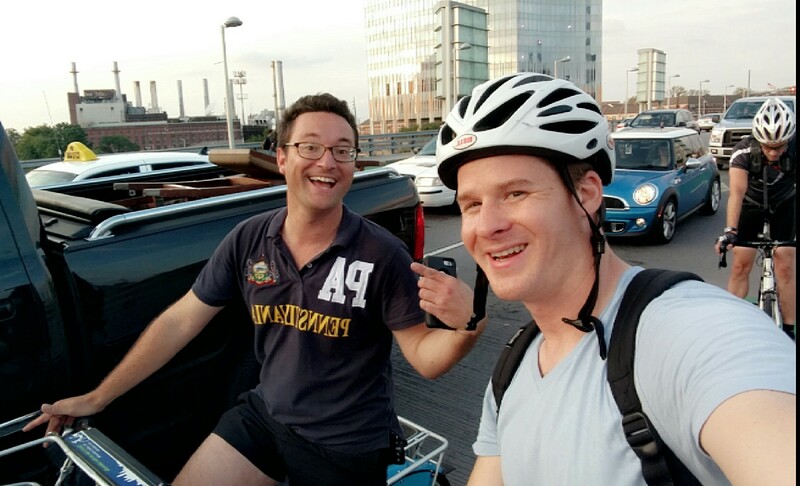 Tutor Perini invited the YMF back for a follow up tour in 2018 when the building will be reaching its final height at 52 stories. 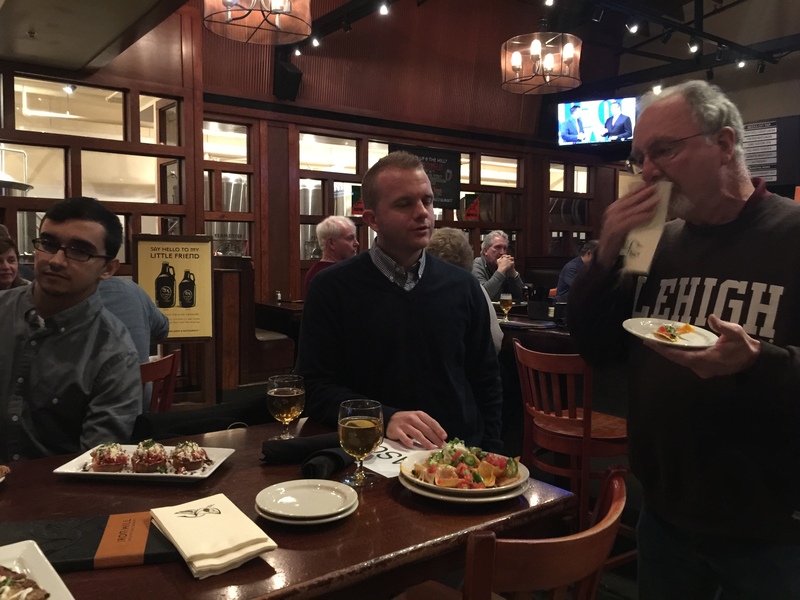 Several group members from the tour attended a happy hour at Ladder 15 after the tour. 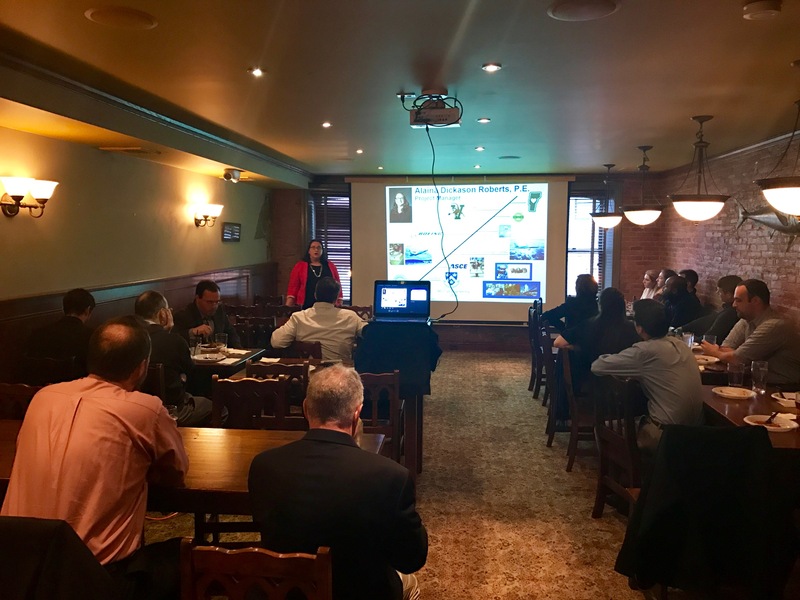 On Wednesday, May 10, 2017, the ASCE Philadelphia YMF hosted its annual Critical Issues Seminar (“CIS”). This year, the topic for the CIS was Sustainable Infrastructure. Panelists Dr. Jennifer Righman McConnell, of the University of Delaware, and Dr. Charles Haas, of Drexel University, led an audience of nearly 50 engineers through an encouraging, informative, and interesting discussion about sustainable infrastructure in the civil engineering profession, including developing/current research, approaches for advocacy, recognized successes, failures, and limitations observed in the endeavor to provide more sustainable infrastructure, and what role civil engineers play in the process. 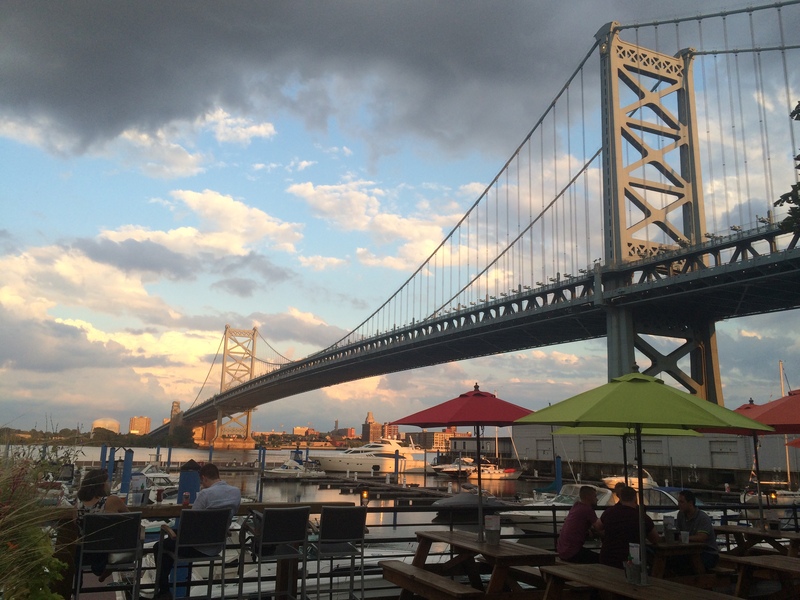 The event took place at Ladder 15 in Center City. 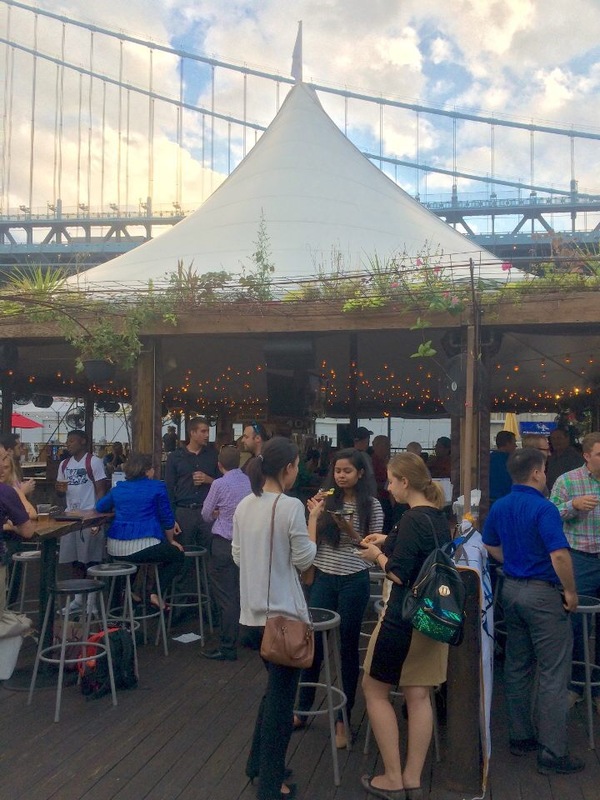 The compelling dialogue was preceded by a period of networking with appetizers. 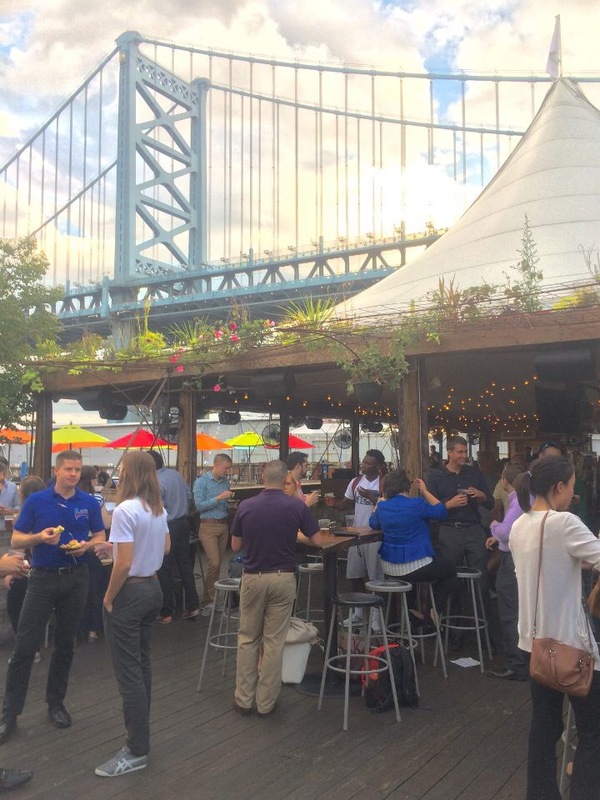 On Monday, May 1, 2017, members of the ASCE Philadelphia YMF attended a tour of the Cira Green at Cira Centre South, a one-of- a-kind urban park spanning over one acre in size and elevated 95-feet above street-level in University City, Philadelphia, PA. 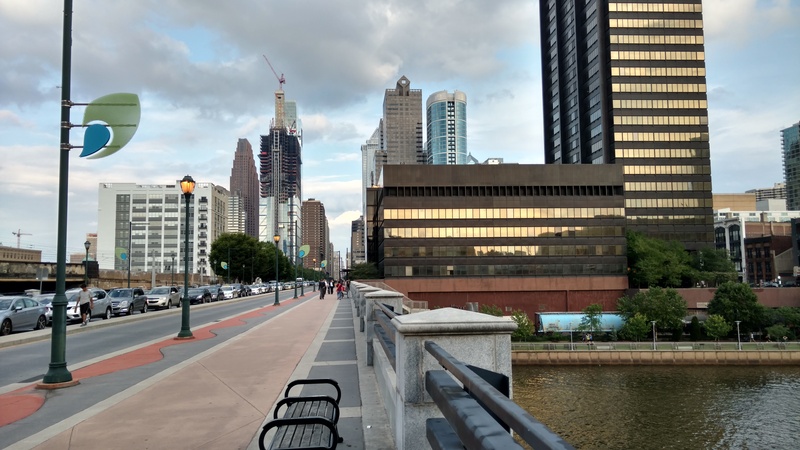 The tour began with representatives from the Philadelphia Water Department describing the city’s Green City, Clean Waters initiative, and explaining how practices employed in the design and construction of the Cira Green fall in line with Philadelphia’s innovative plan to reduce stormwater pollution currently entering the city’s combined sewer system. 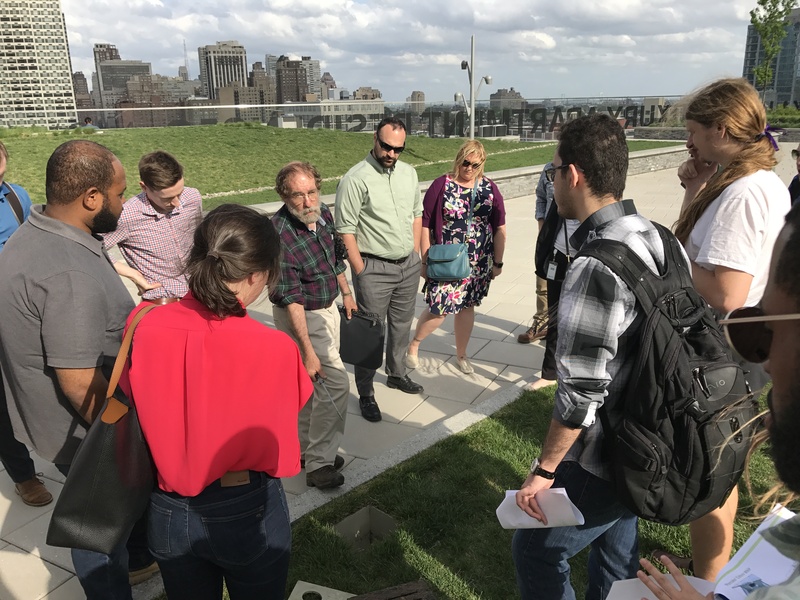 The group was then exposed to several innovative stormwater management features incorporated into the Cira Green by representatives from Roofmeadow, the Landscape Architecture firm responsible for the roofscape’s blue-green design. About 6 volunteers and 10 student members of the ASCE Philadelphia YMF Chester A. Arthur School CivE Club attended the first tour of the Cira Green from 4:00-4:45PM, and about 20 ASCE Philadelphia YMF members attended the second tour of the Cira Green from 4:45-5:30PM. 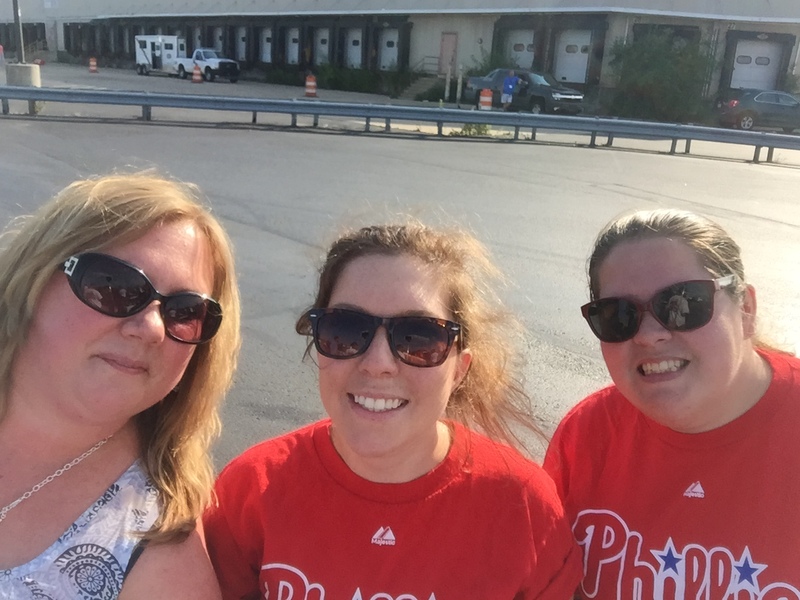 The YMF would like to thank Charlie Miller, Melissa Muroff, and Jane Winkel from Roofmeadow, as well as Maggie Dunn, Alan Fody, and Victoria Lenoci from the Philadelphia Water Department for their willing participation in the planning and hosting of this awesome event! 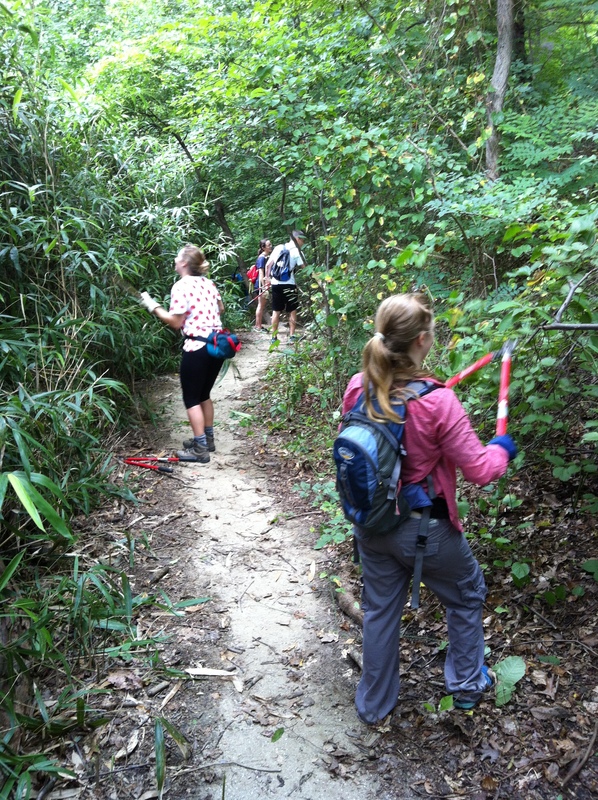 We would also like to thank Keith Marchiafava for his awesome photos of the CivE Club’s Tour! 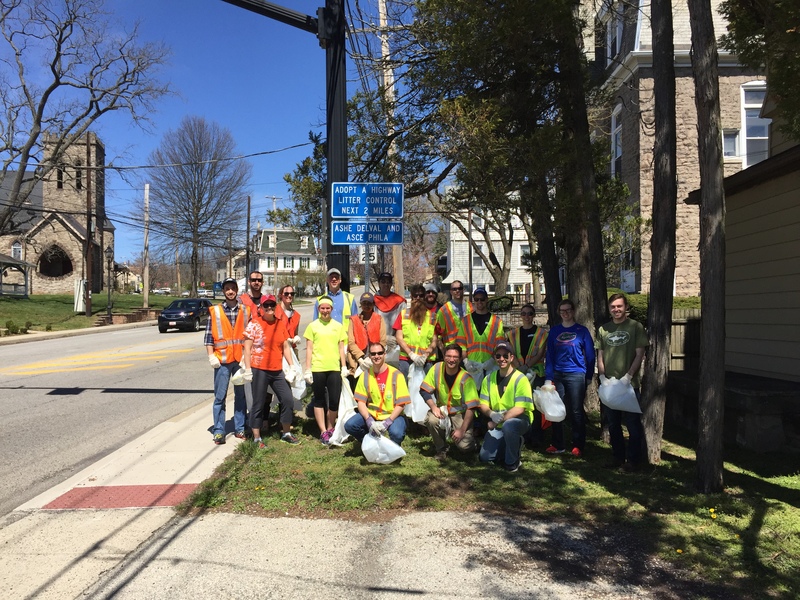 On Sunday, April 9, 2017, the ASCE and ASHE’s younger member groups teamed up for the 2017 spring Adopt-A-Highway street clean-up. It was another great event with approximately 20 people in attendance on a gorgeous day. 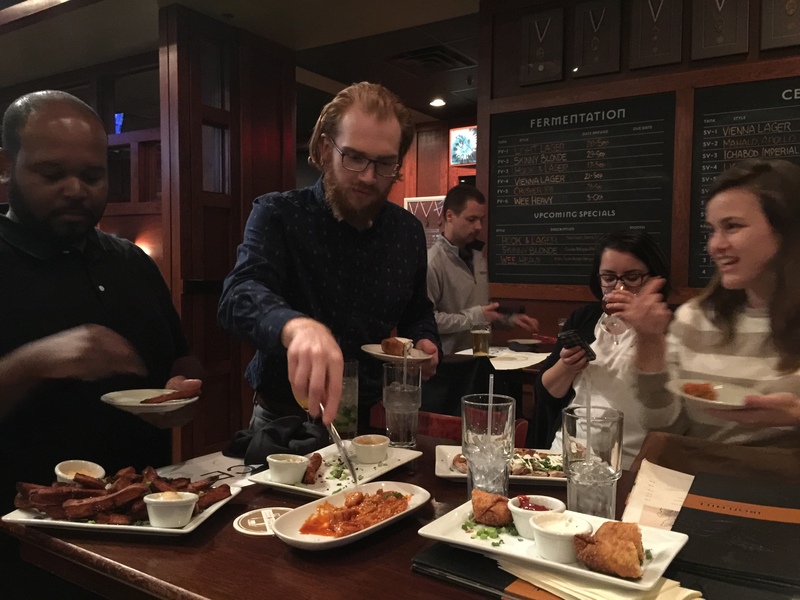 After the cleanup, the group enjoyed pizza and wings from Fireside Bar and Grill. 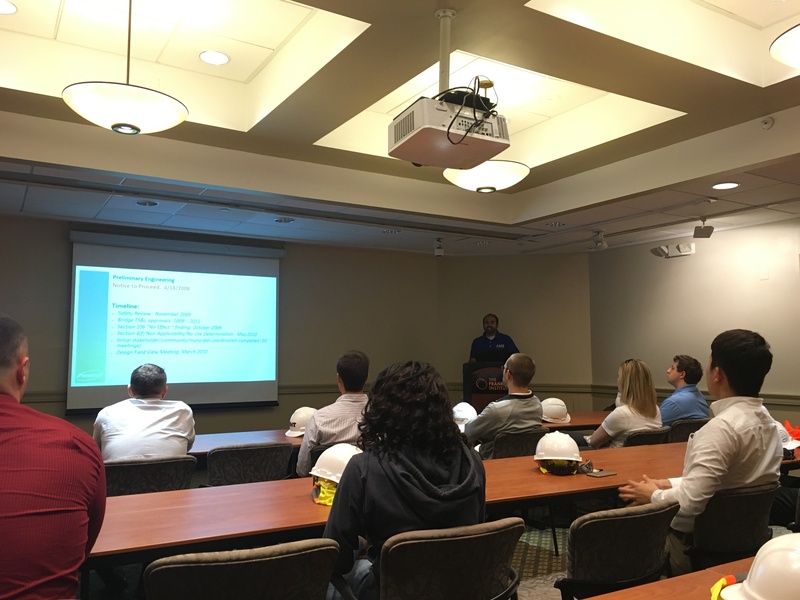 On Thursday, March 30th, the ASCE Philly YMF gathered with members of the Delaware County section of the Pennsylvania Society of Professional Engineers at Sligo in Media, PA. 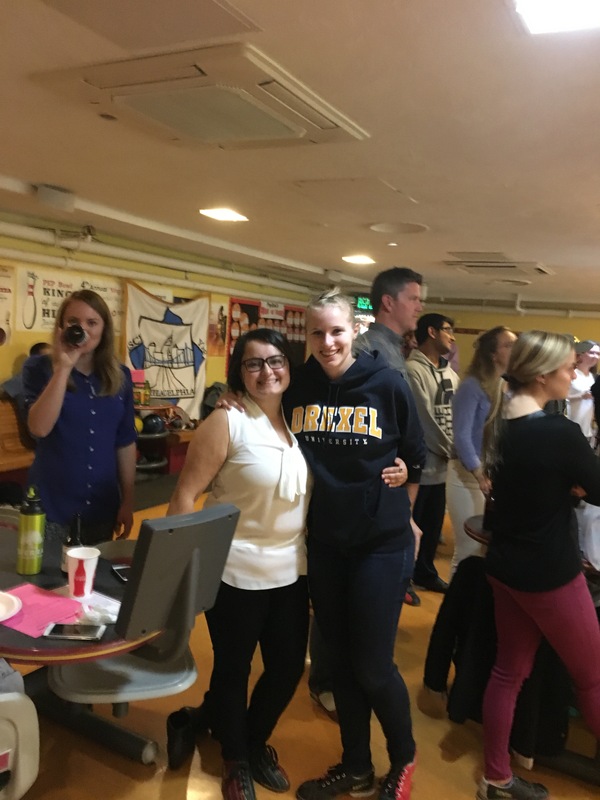 The event consisted of about an hour or so of networking, with small bites co-sponsored by the YMF and PSPE, followed by a series of brief technical presentations with one PDH being offered to attendees. Alaina Roberts of Boeing, presented on what Civil Engineers do at Boeing. Jesse Gormley of Pennoni followed on a steel bridge repair project in Mount Holly, NJ. 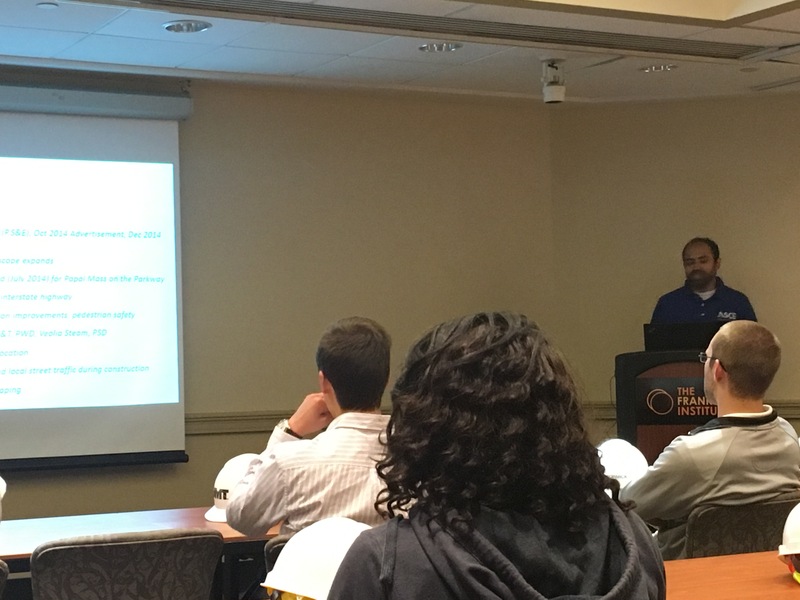 Finally, Catania Engineering presented on sanitary sewer force main replacement. The event was well attended, and all three presentations were exceptional. 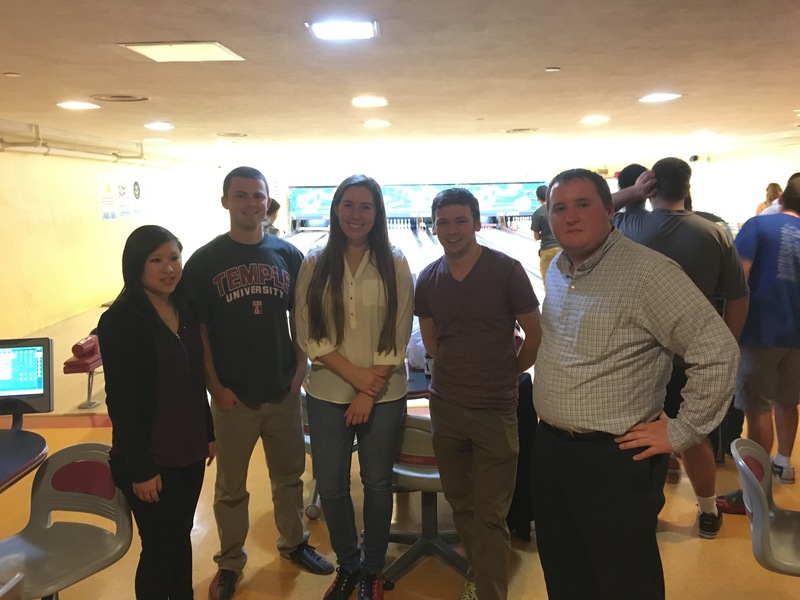 The YMF would like to extend a thank you to PSPE for yet another successful year of this event. 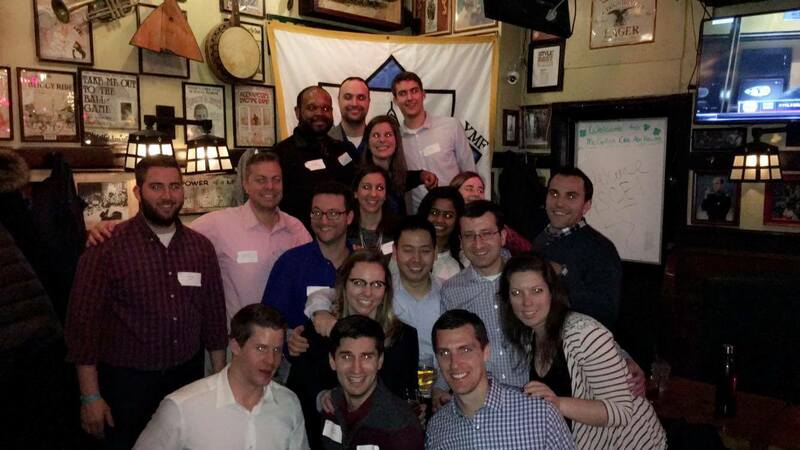 On Monday, January 30, 2017, the ASCE Philly YMF held their Annual Winter Social at McGillin's in Center City. 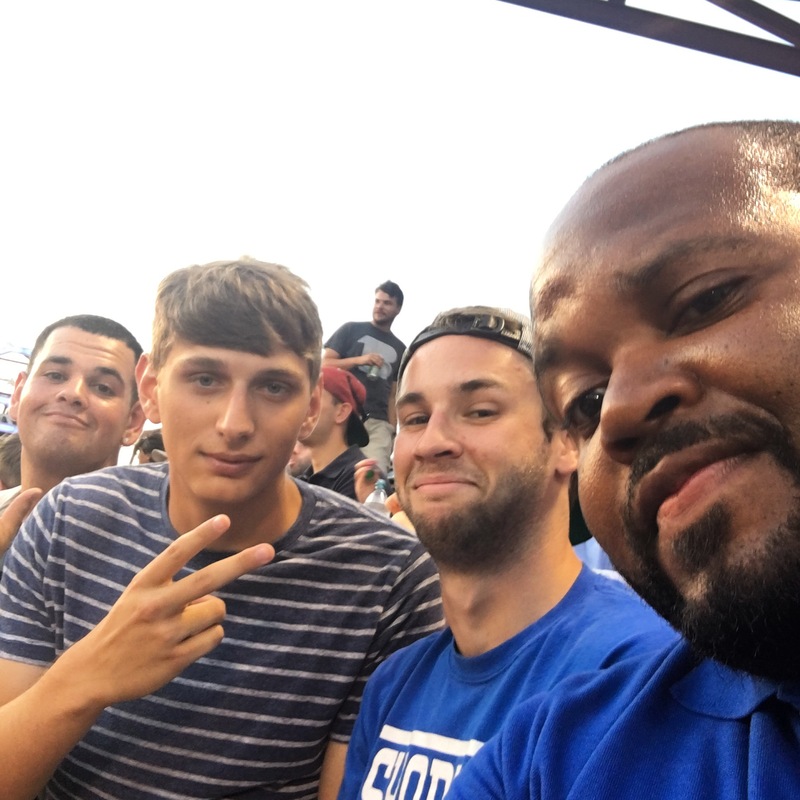 This is typically the YMF's largest event of the year, and this year was another great success. 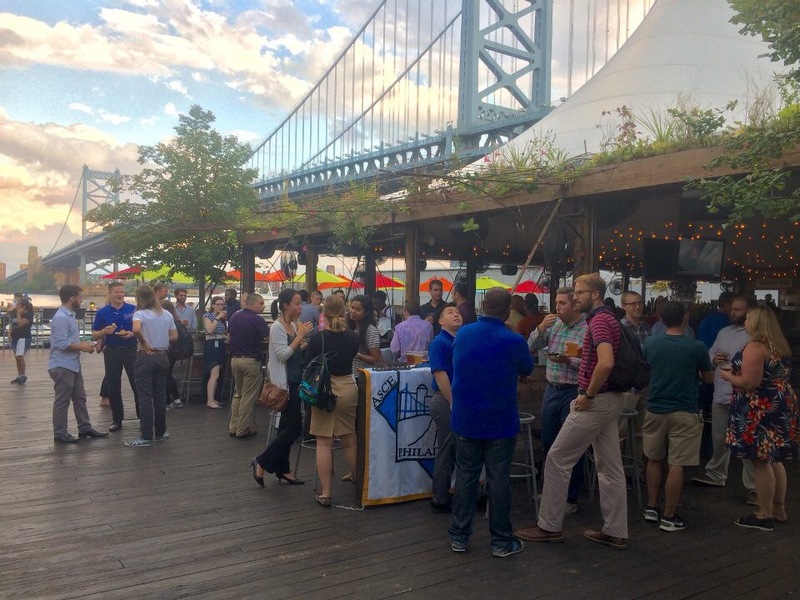 Attendees reached 229 professionals, our highest number to date! We would like to thank those who attended for their contribution to a great cause. Our fundraising raffle collected $2,050, which will be donated to local non-profit organizations. 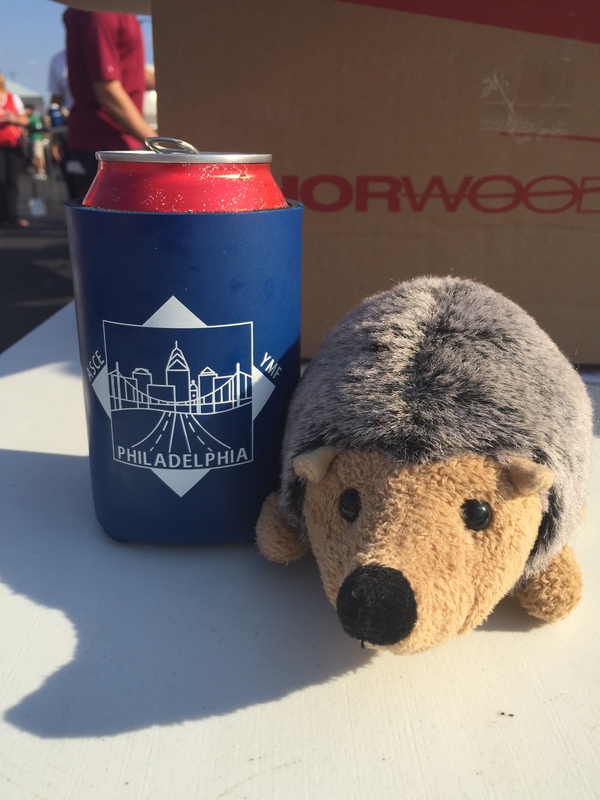 Additionally, our charity fund reached $950, with that money contributing to our CANstruction efforts, which benefit Philabundance. The total fundraising amount was $3,000! We would like to extend a HUGE thank you to the company sponsors who contributed raffle prizes. 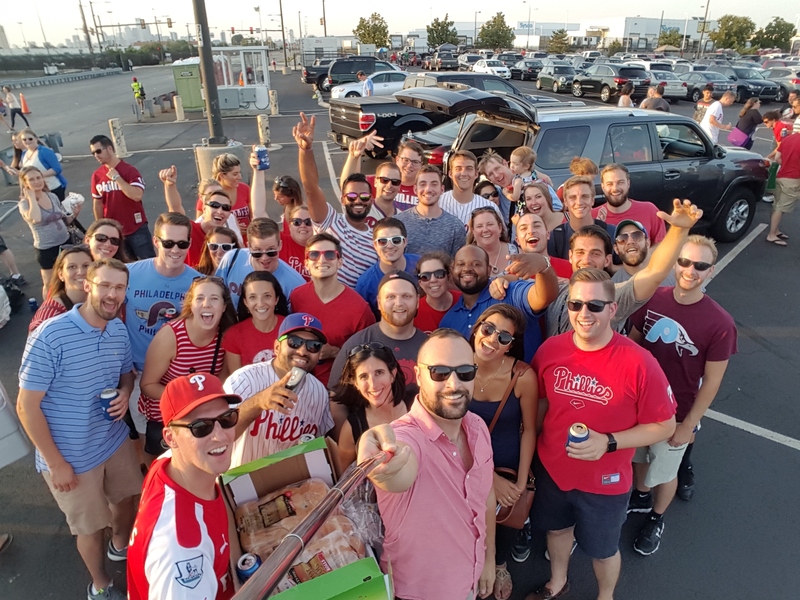 All together, we had 35 winners who received gift cards, tickets, and other prizes. 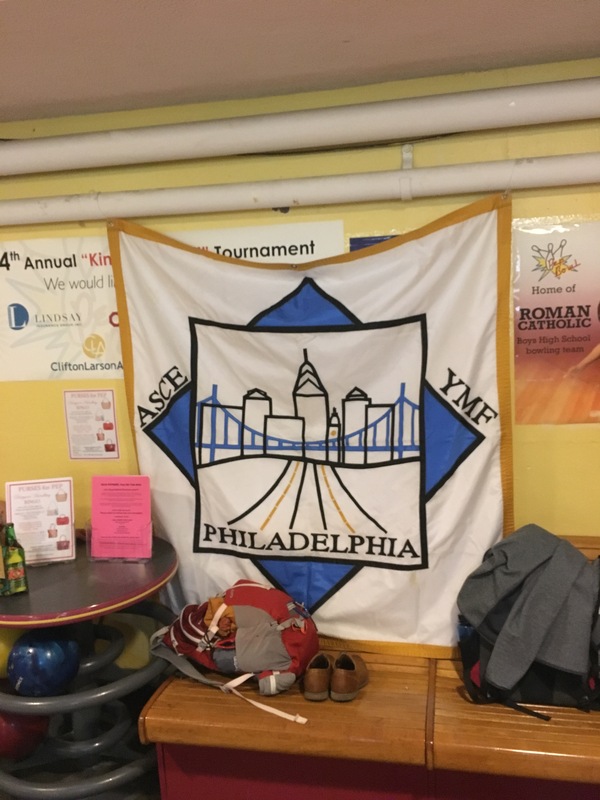 And, finally, we would like to thank our fellow ASCE YMF members for their help with making this event run smoothly. The time that everyone put in to raise sponsorships, prepare the event, work the sign-in and raffle tables, and cleanup is greatly appreciated. 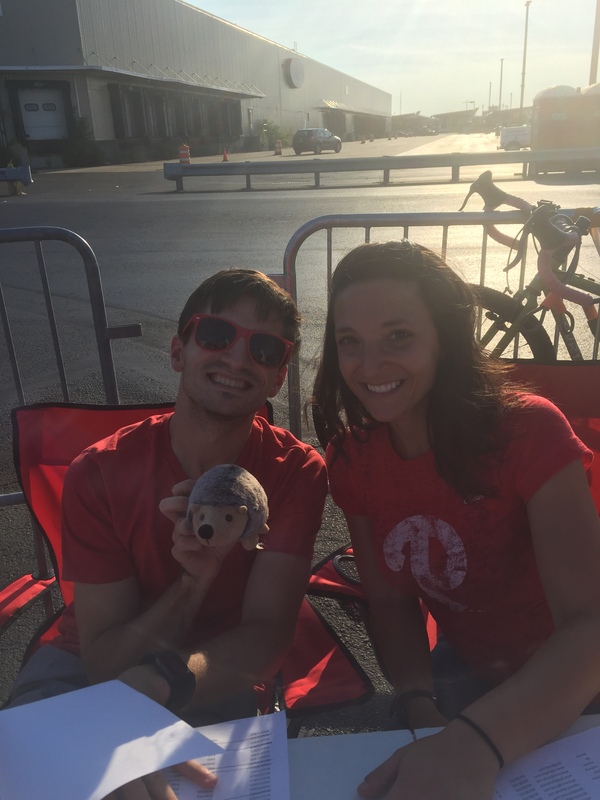 We already can't wait for next year! 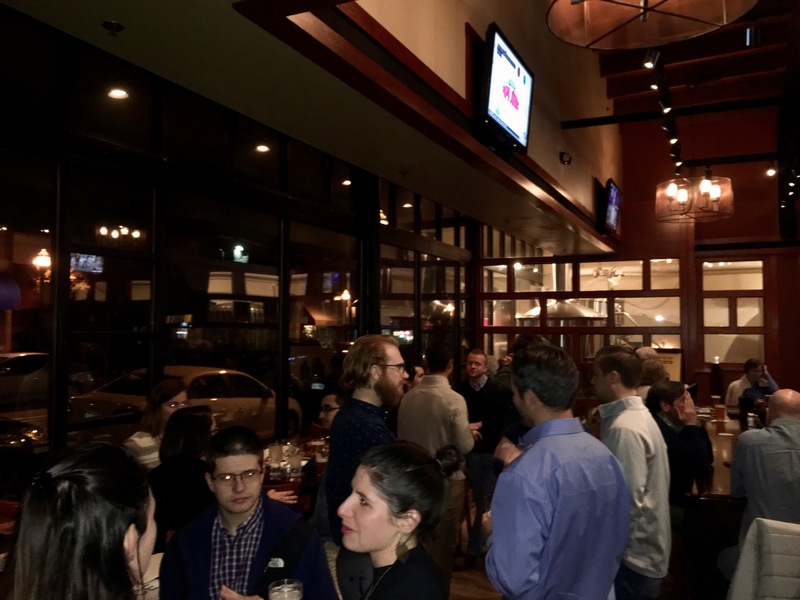 On Monday, November 14th, 2016, the ASCE Philly YMF teamed up with the Boeing Branch of ASCE for a joint happy hour at Iron Hill Brewery in Media, PA. 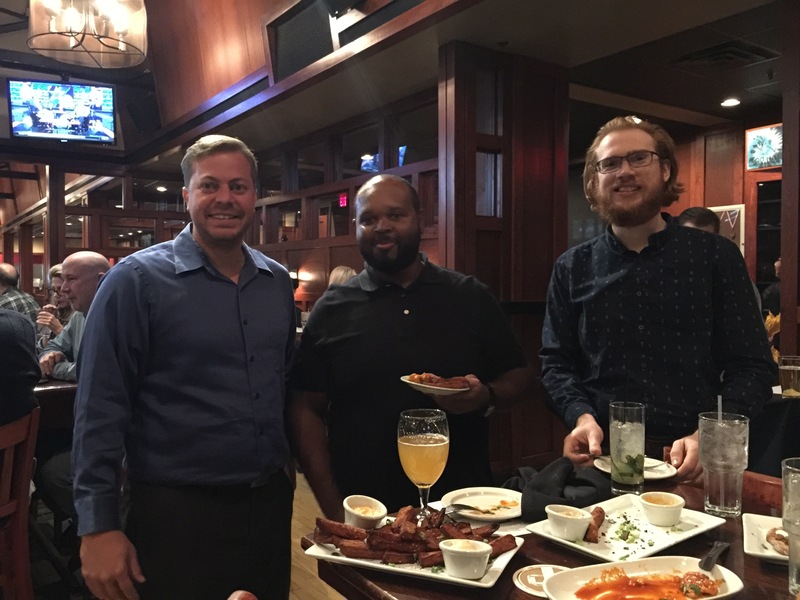 There were about 20 attendees that enjoyed happy hour specials until 7 PM and appetizers sponsored by the Boeing Branch. 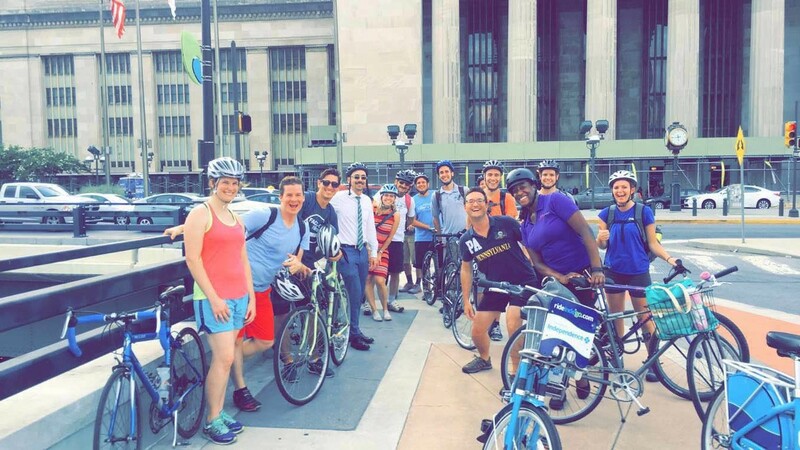 Drexel, Temple, and Widener were all represented by student attendees. 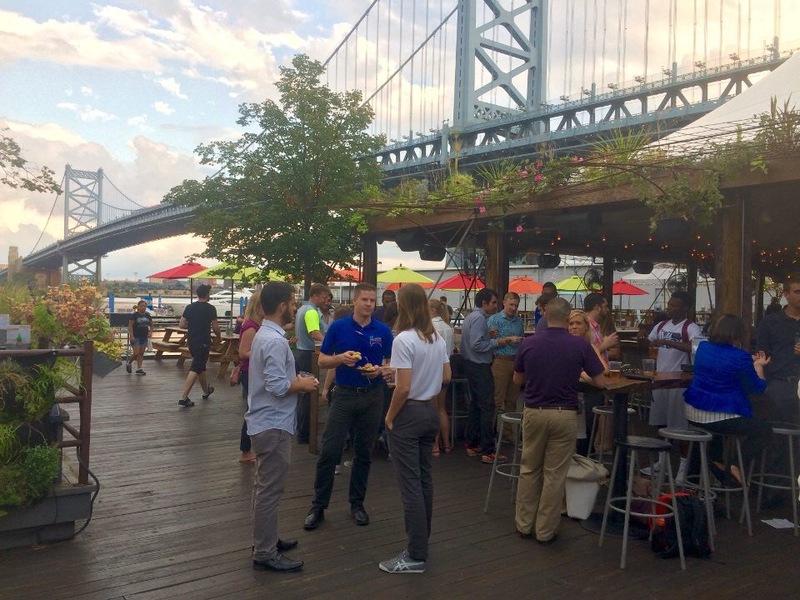 The YMF plans the majority of their events within the city, and it’s always nice to get out to a new location and create some new connections. This was the first time that the YMF has collaborated with the Boeing Branch, and we certainly look forward to working together again in the future. 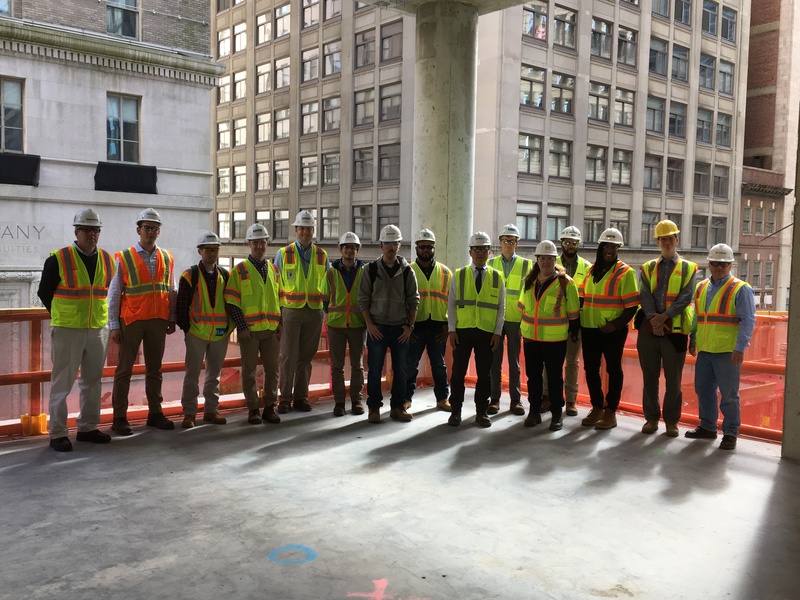 On Wednesday, November 9, 2016, the ASCE YMF attended a construction tour of the Comcast Innovation and Technology Tower. 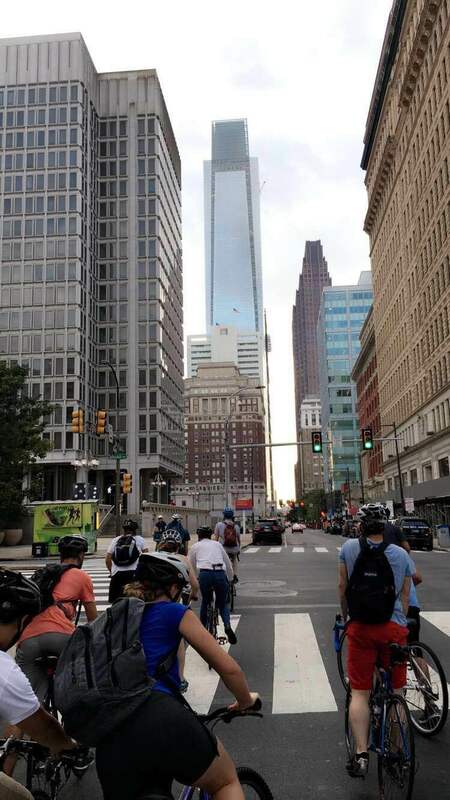 The brand new skyscraper will change the entire skyline of Philadelphia as we know it. 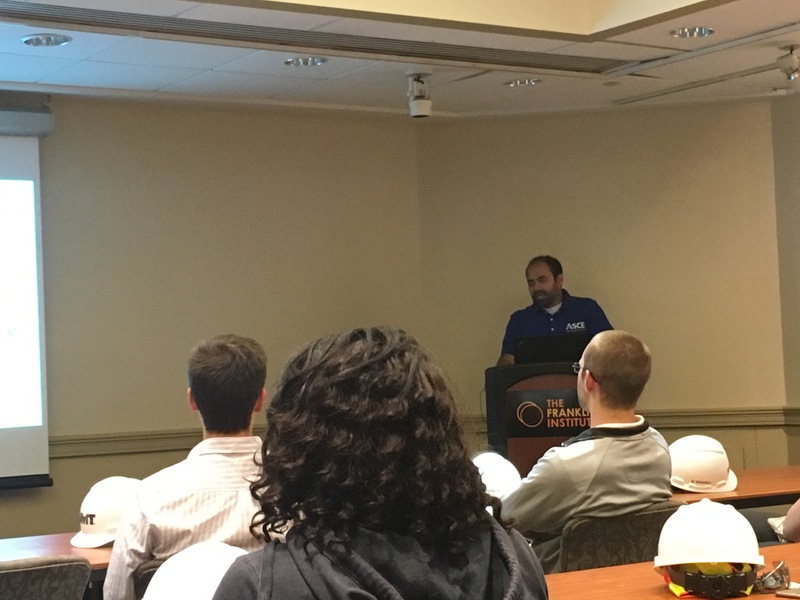 The construction tour began with the engineer of record, Thornton Tomasetti, providing a brief presentation about the design tower and the engineering challenges the design team faced. The group then went out to the site and was taken around by the construction management firm, L.F. Driscoll. The group was taken to several levels throughout the building showing different, unique floor designs as the tower went skyward. 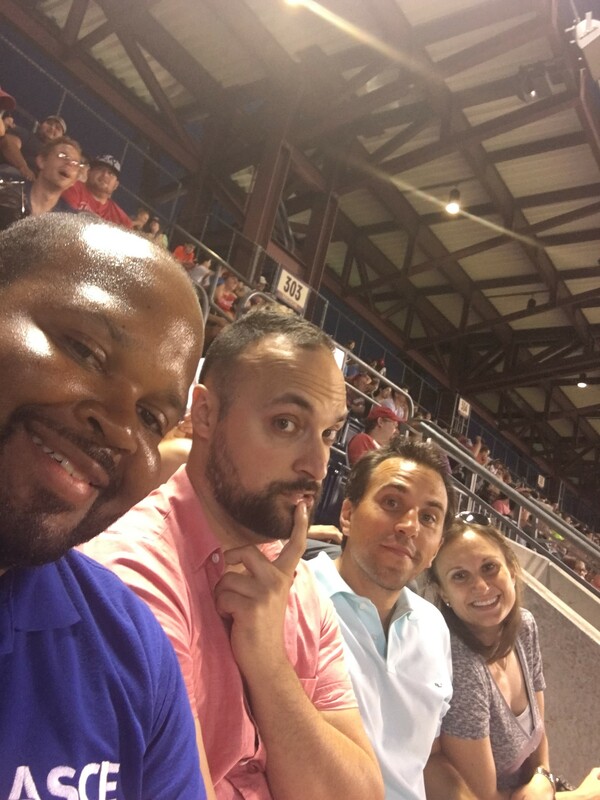 The group reached a peak on the 44th floor which provided breathtaking views of Philadelphia. Space on the tour was limited so there were about 20-25 people in attendance but many more people showed interest in attending. 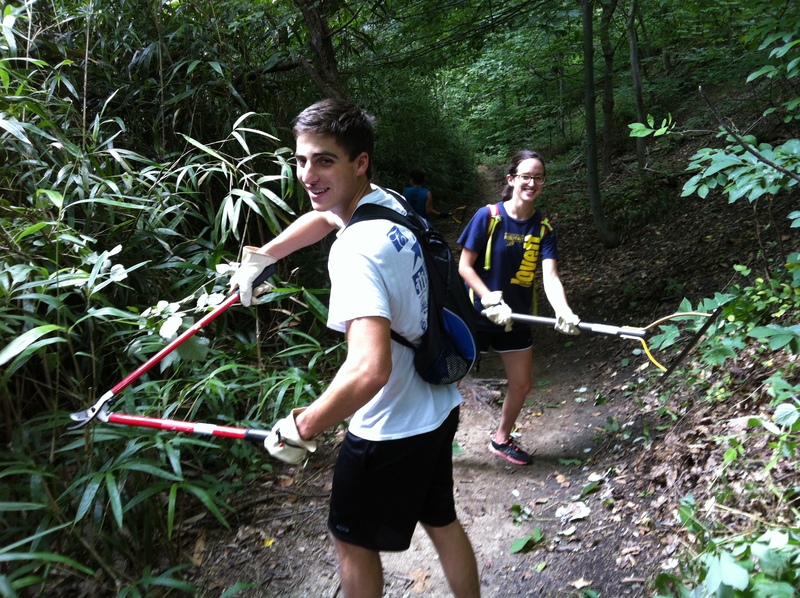 On Sunday, October 16, 2016, the ASCE and ASHE’s younger member groups teamed up for the 2016 fall Adopt-A-Highway street clean-up. 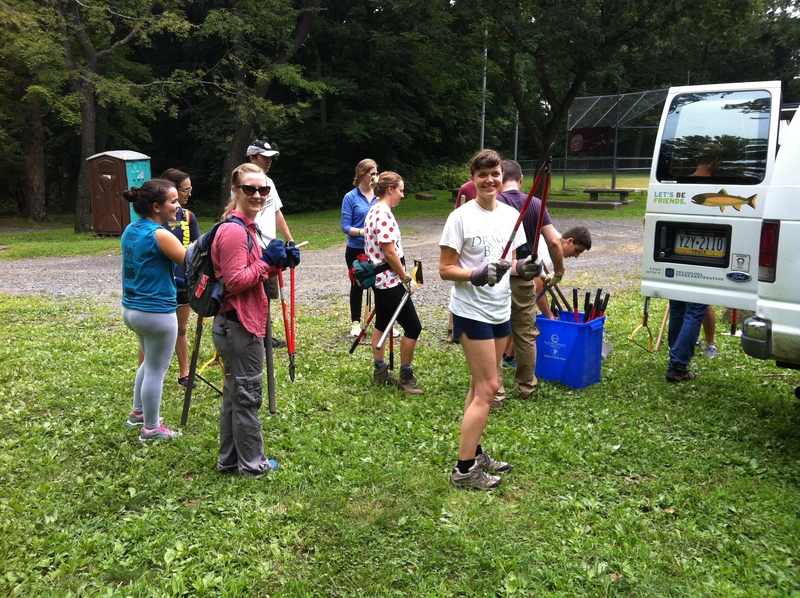 Approximately 15 young engineers and Temple University civil engineering students showed up at the parking lot of Fireside Bar & Grill, received gloves and trash bags, discussed roadside safety, and then began to pick up trash along the two mile stretch of Bethlehem Pike that has been adopted by ASCE and ASHE. 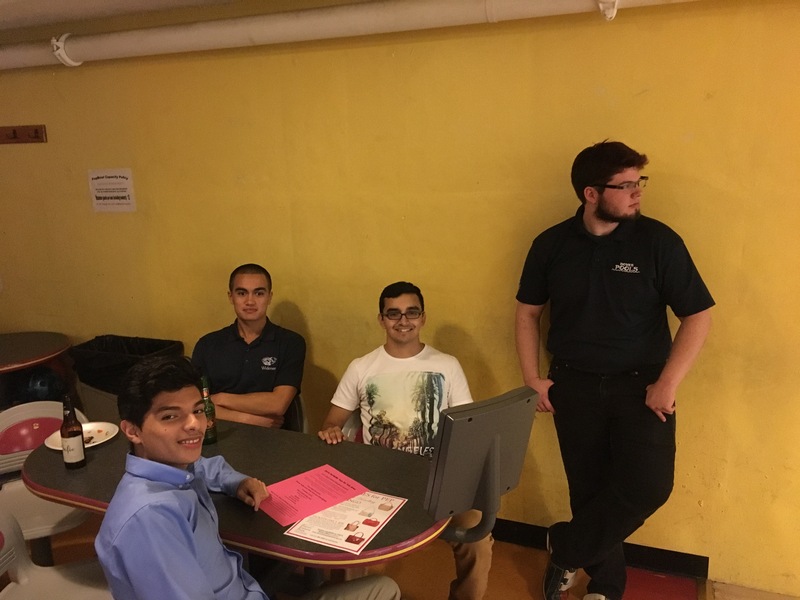 After the cleanup, the group enjoyed pizza and wings from Fireside Bar and Grill. 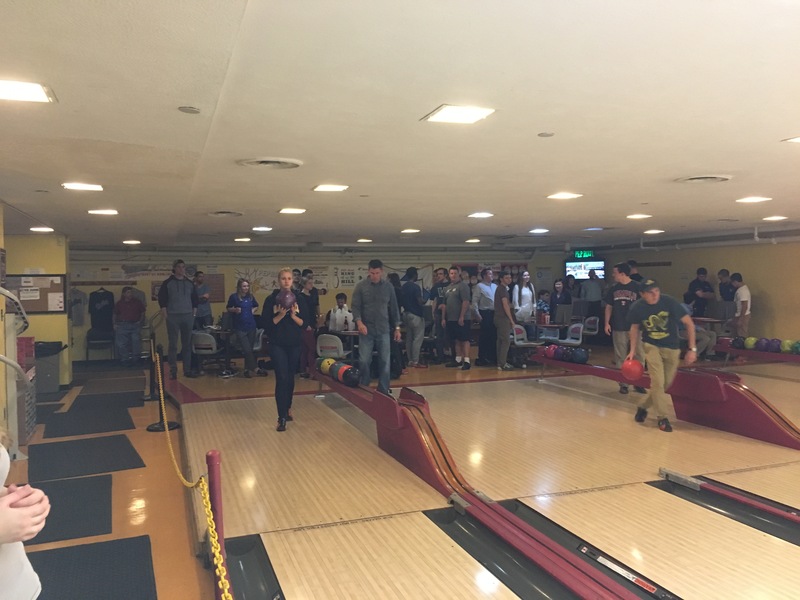 On Tuesday, October 11, 2016, the YMF gathered for the annual Welcome Back Student Bowling event. 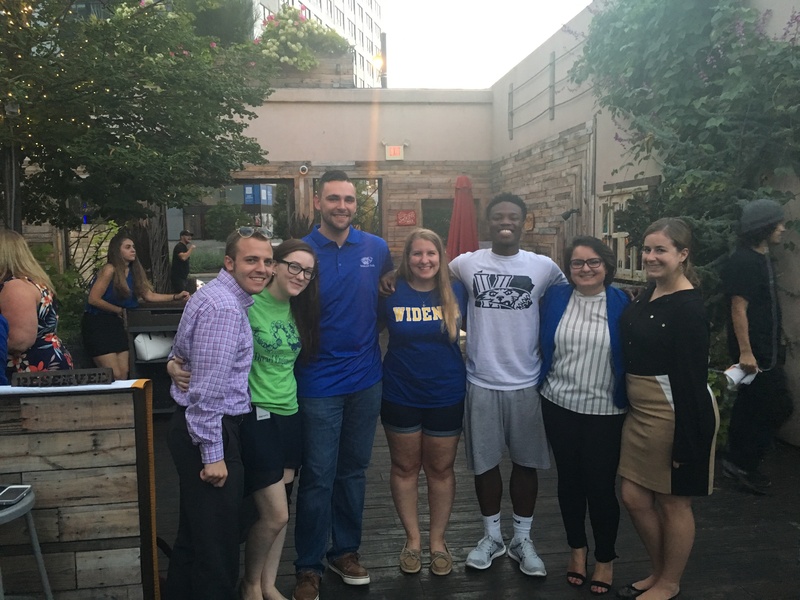 We had great representation from the schools, featuring students from Drexel, Temple, Villanova, and Widener (we're looking at you for next year, Swarthmore! ), as well as a good number of younger members mixed in. 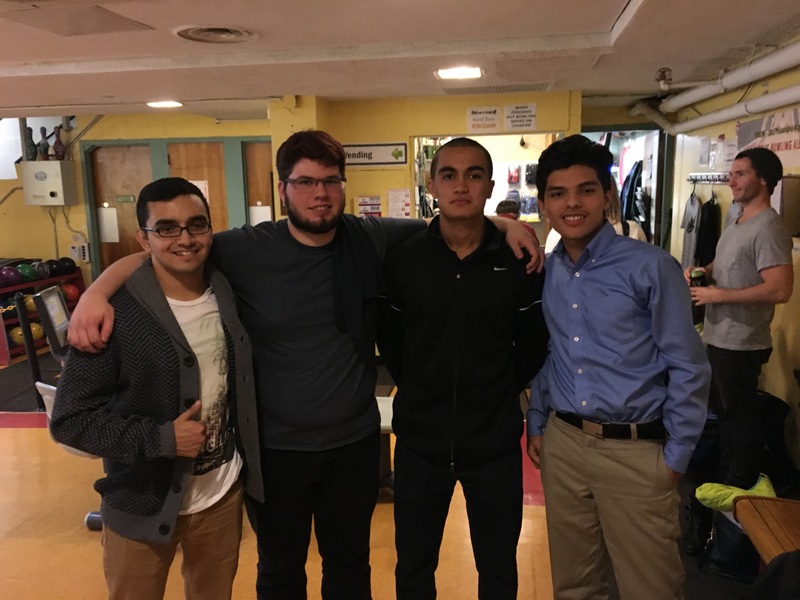 Everyone had a great time bowling, eating pizza, and just getting to meet one another. 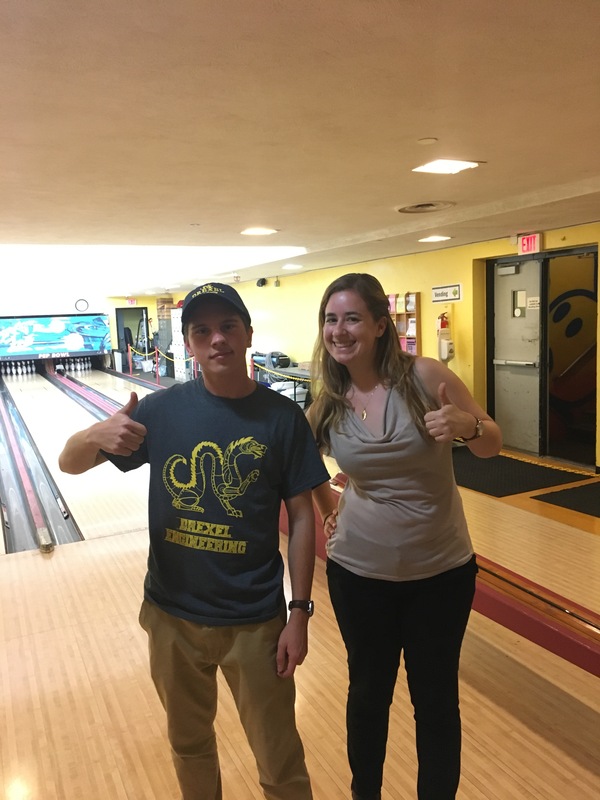 Congratulations to Drexel student Volodymyr Babiy who bowled the night's high score with a 145! 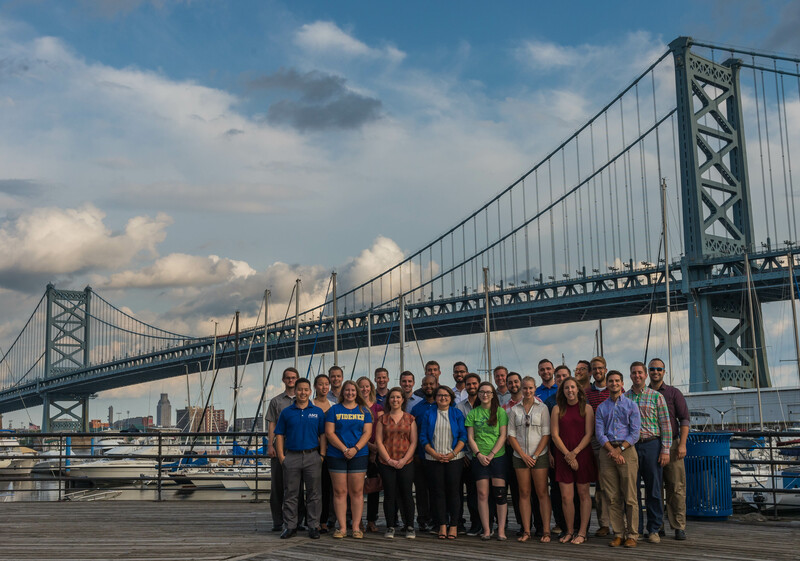 On Thursday, September 1, 2016, the YMF gathered for their annual group photo, posing with the Ben Franklin Bridge as the backdrop. 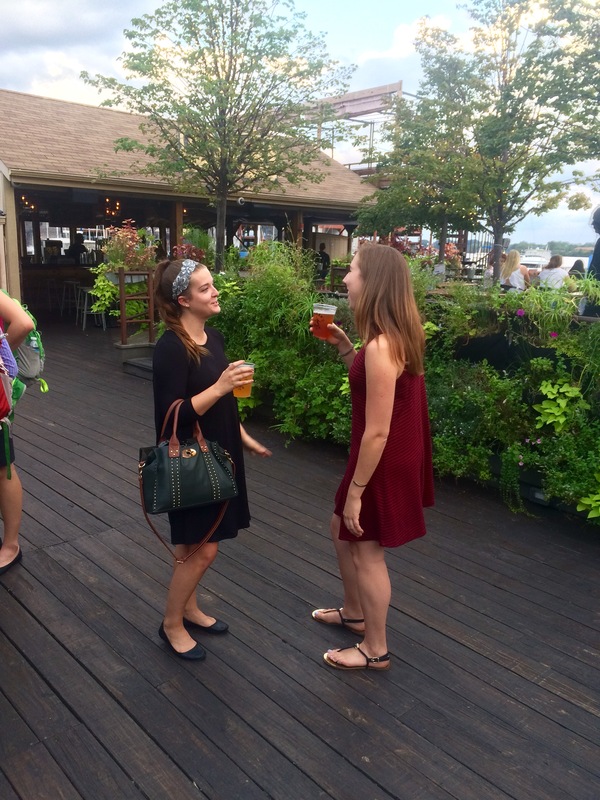 Following the photo shoot, the YMF proceeded just down the street to Morgan’s Pier to enjoy each other’s company over some appetizers and beverages. 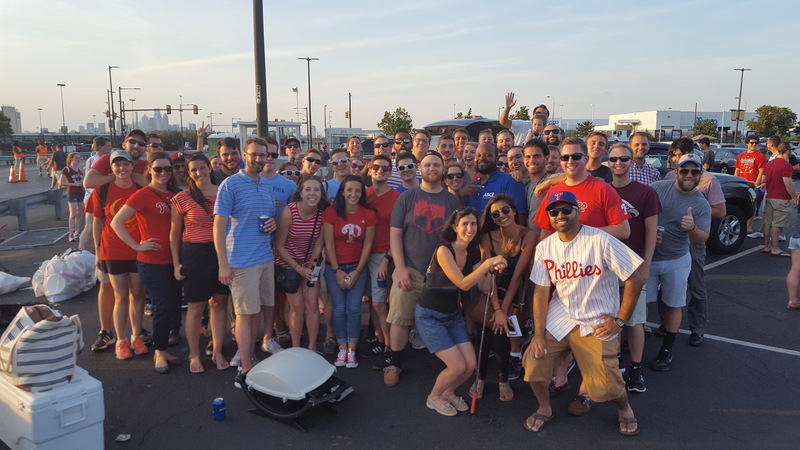 It was great to get the YMF together one more time before the unofficial end of summer, as the event saw around 50 attendees. 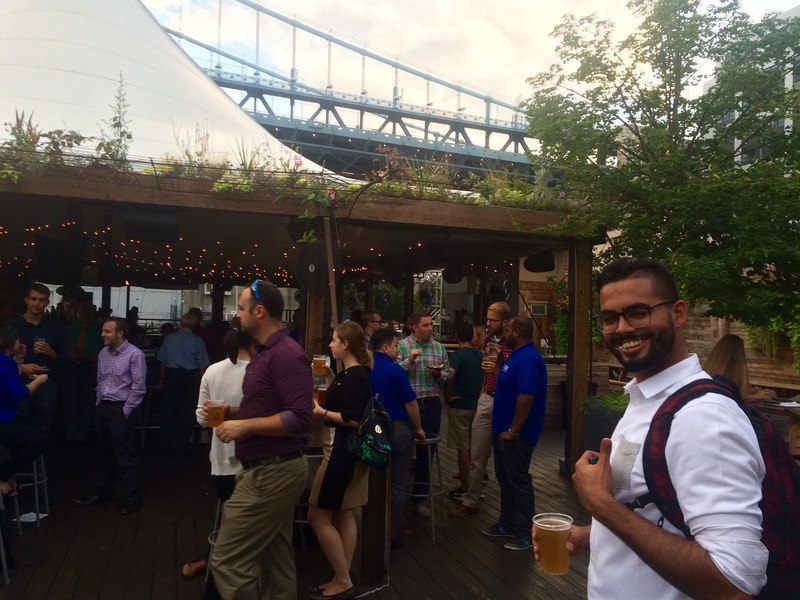 On Tuesday, August 30, 2016, the YMF hosted a presentation for prospective Project Managers at The Field House in Center City on what to expect out of leading their first task, managing a budget, producing quality deliverables, and more. The presentation was given by 2013-2014 YMF President Chris Gray, PE, of Timothy Haahs & Associates. It was a well-received, valuable presentation... although the provided appetizers and drink specials may have helped! 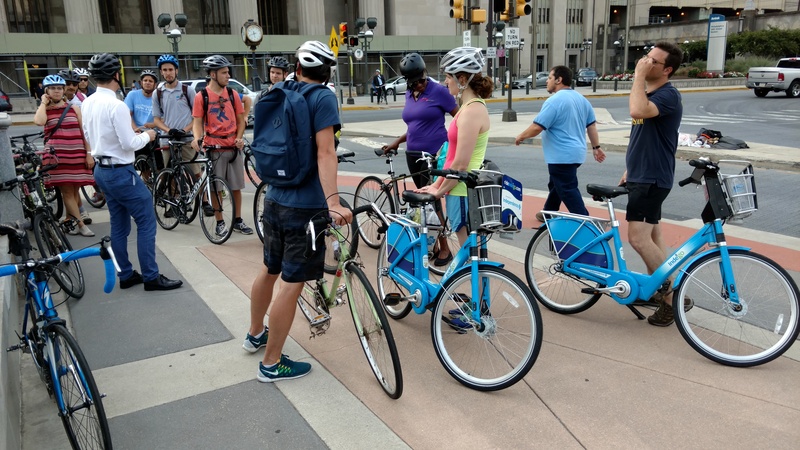 On Thursday, August 25, 2016, the YMF hosted a riding tour of the bicycle infrastructure in center city Philadelphia, during rush hour traffic. 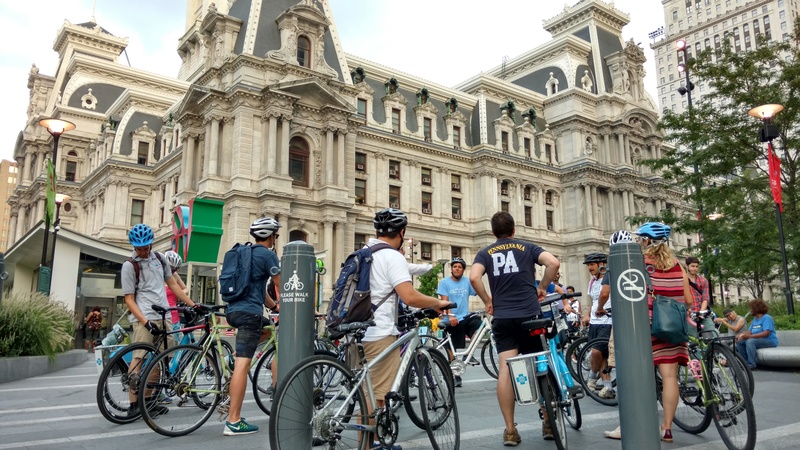 The event began with a brief discussion of the City’s efforts over the last decade to improve the bike network and setup a bike sharing program, with the goal of making biking safer and more accessible for users of all ages and skill level. 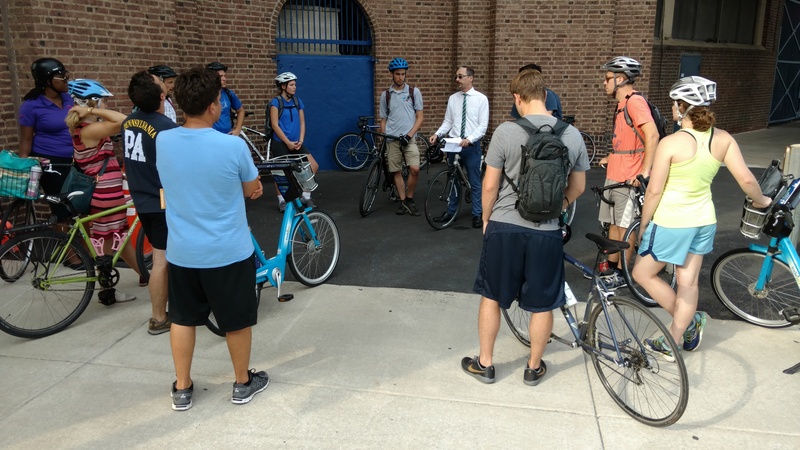 The overview was given by the Department of Streets’ Complete Streets Safety Engineer, Gus Scheerbaum, who then also led the group on the tour, pointing out the various types of infrastructure while riding along and using it. 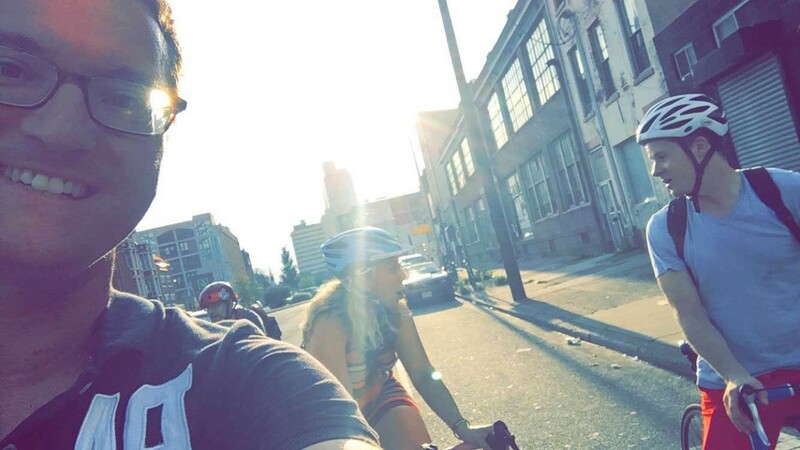 Fortunately it was a gorgeous day and the riders enjoyed the perfect weather! 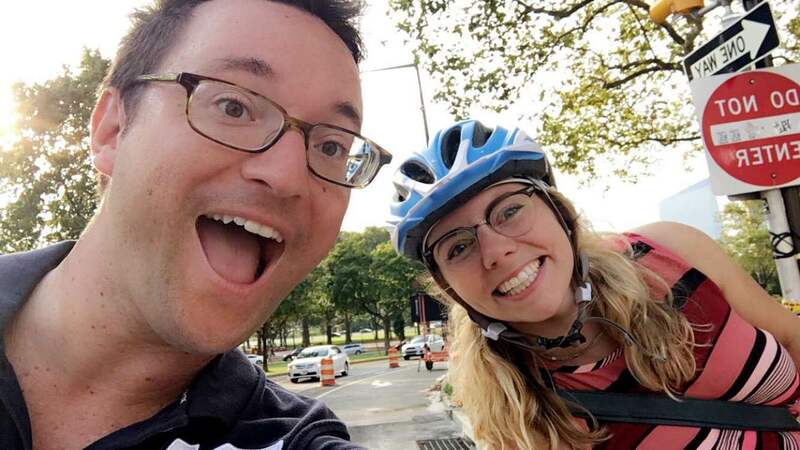 After the tour the, the group gathered for a happy hour at Wahoo’s for drinks and bites, with a round of quizzo on Philly’s biking statistics; Mirrycle JelliBell bells and tire patch kits were provided to the 1st & 2nd place winning teams, respectively. 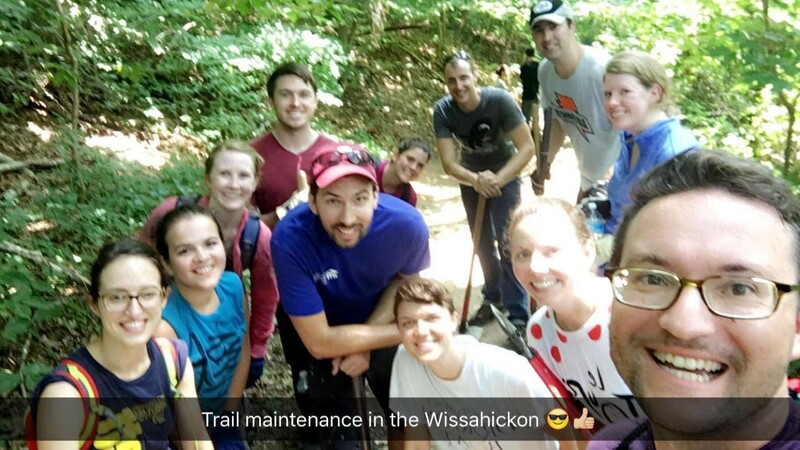 On Saturday, August 6, 2016, a group of 15 YMF volunteers cleaned up a section of trail in Philadelphia's Wissahickon Valley Park thanks to the guidance, tools and expertise from the Friends of the Wissahickon. 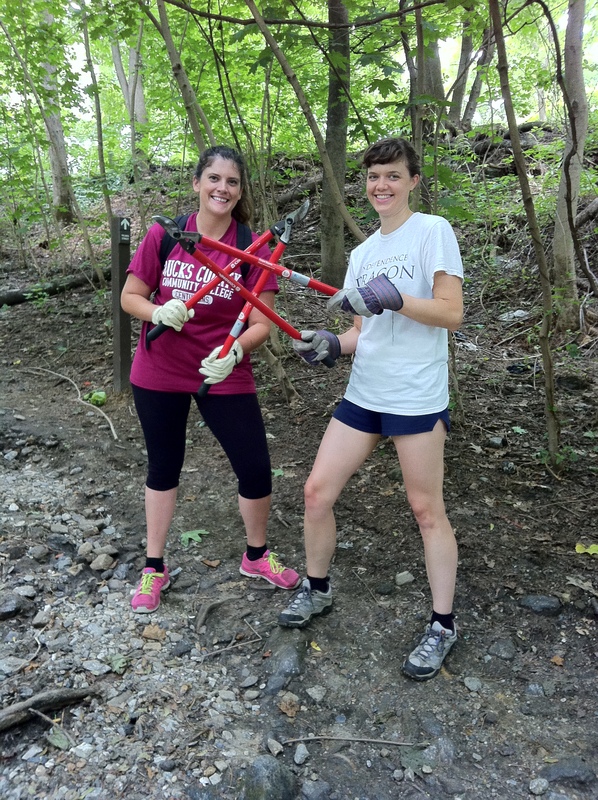 Volunteers enjoyed using a plethora of fun tools and were excited about the opportunity to put their civil engineering skills to use building berms! 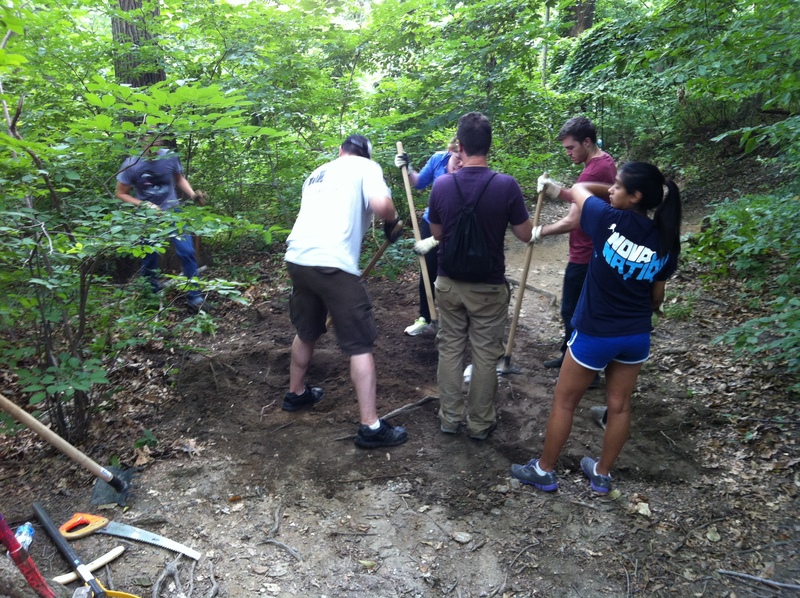 After clearing the trails, the group headed to Johnny Mañana's in East Falls to refuel with Mexican food. 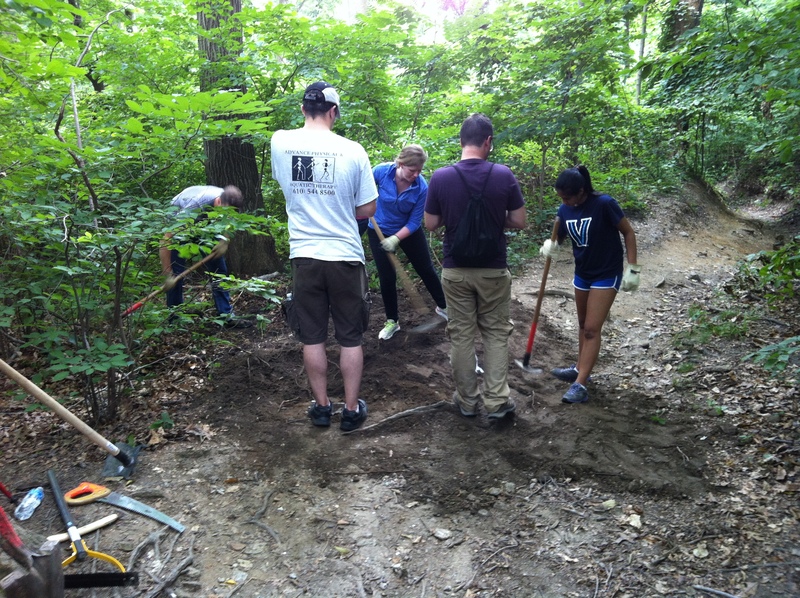 The YMF hopes to work with Friends of the Wissahickon for more events like this in the future. 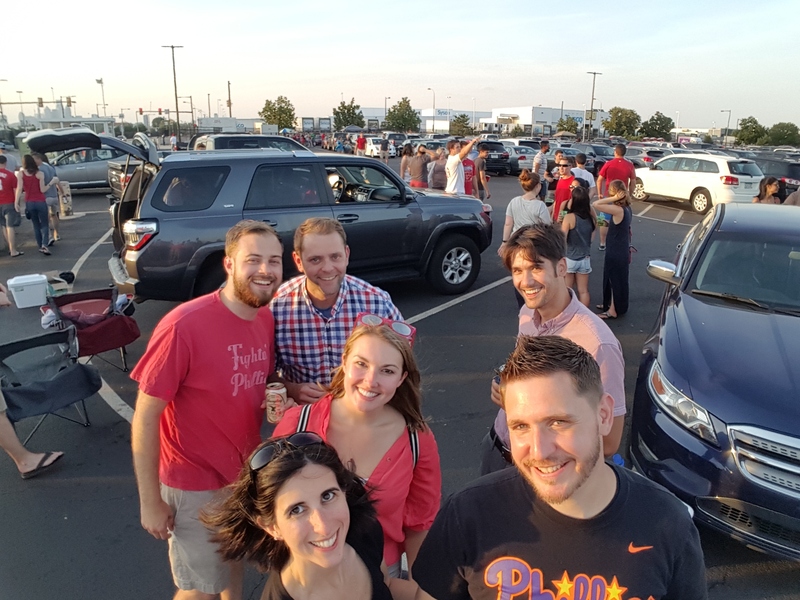 On Thursday, July 21, 2016, the YMF hosted its annual Phillies tailgate and game. As usual, the event was very well attended with 126 tickets sold. 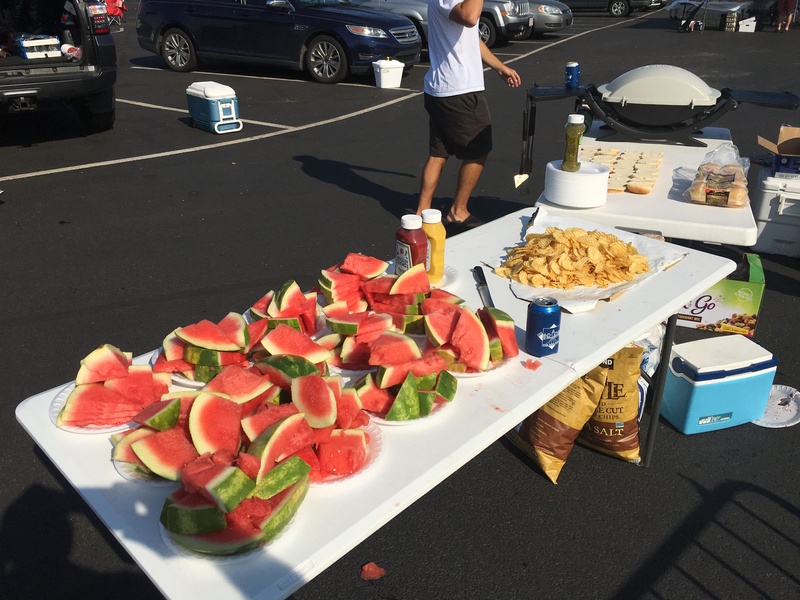 A great tailgate spread with burgers, dogs, chips, and watermelon was served, and every attendee received a complimentary YMF beverage koozy! 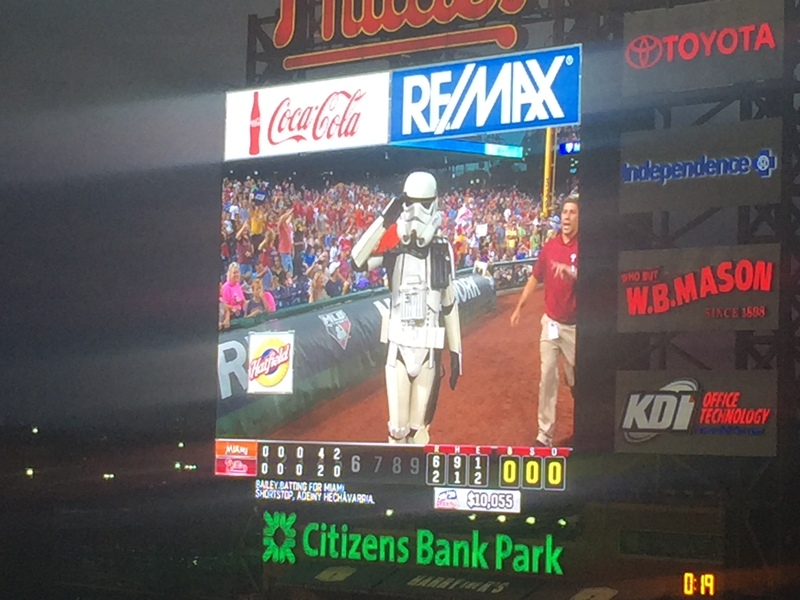 The weather was beautiful and it turned out to be Star Wars night (an unexpected surprise). 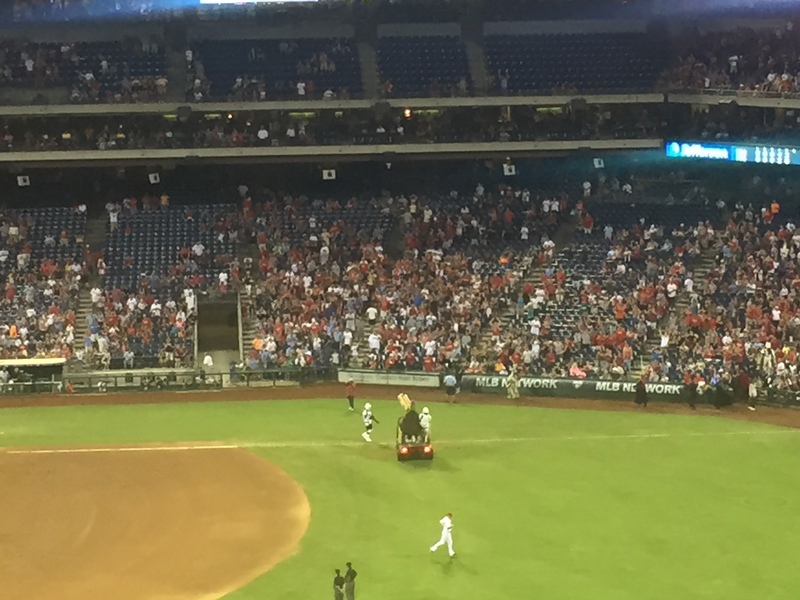 The game could have gone better for the Phillies, but everyone still seemed to have a great time! 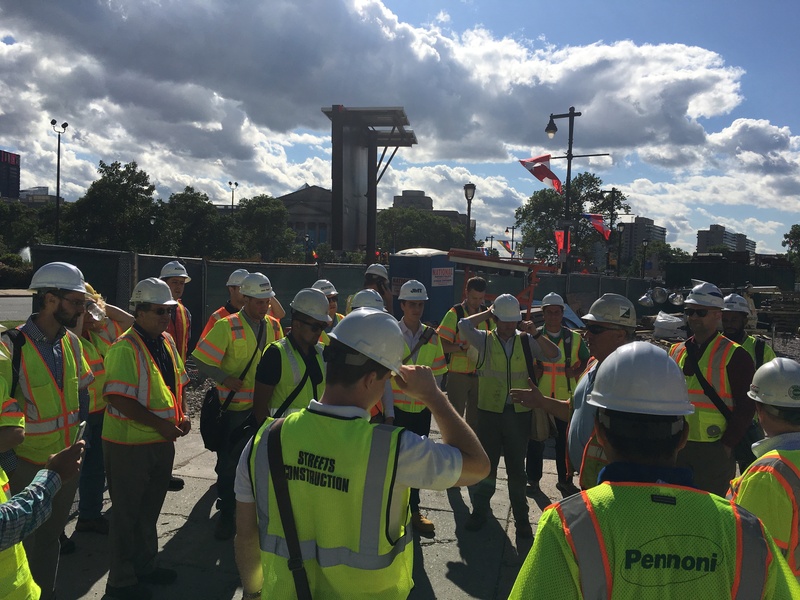 On Wednesday, June 8, 2016, the YMF hosted a construction tour of the replacement of the bridges over the Vine Street Expressway. 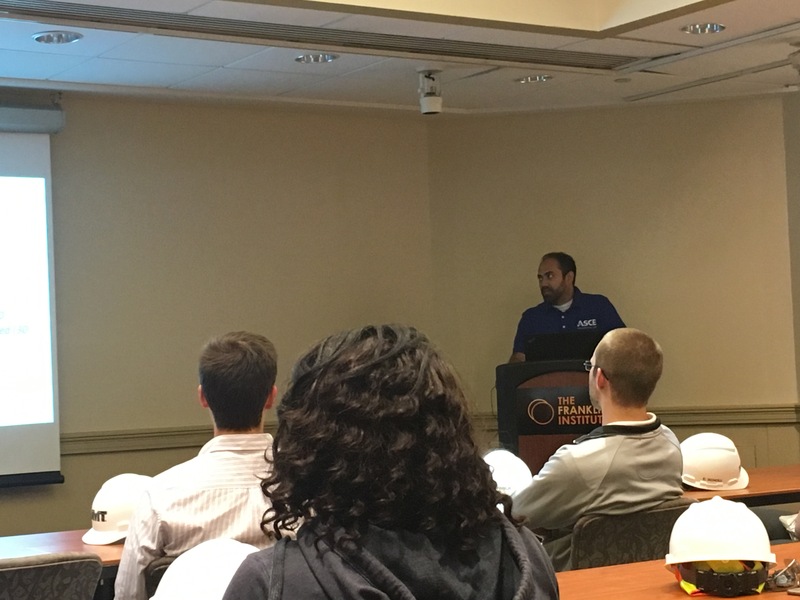 The tour began by the YMF's own Kazi Hassan giving a brief presentation on the project before the contractor giving a walkthrough of the site. 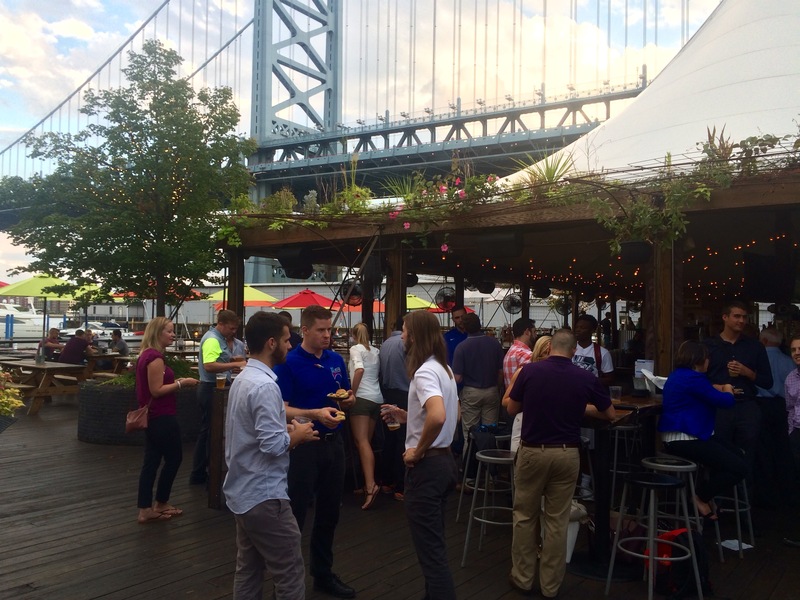 The event filled quickly, and the fast RSVP-ers were awarded with beautiful weather and a great tour.